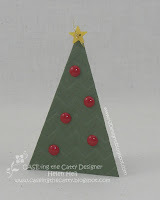 This week we are using the theme of "Christmas Trees" from the Stampin' Up! Holiday Catalogue to inspire our projects. There are lots of tree images scattered throughout the catty in stamps, dies & DSP. 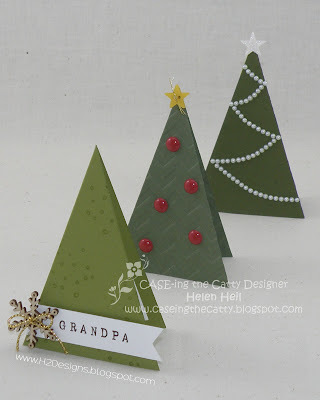 I was inspired by the picture at the top of page 42 to create my own simple, little trees. 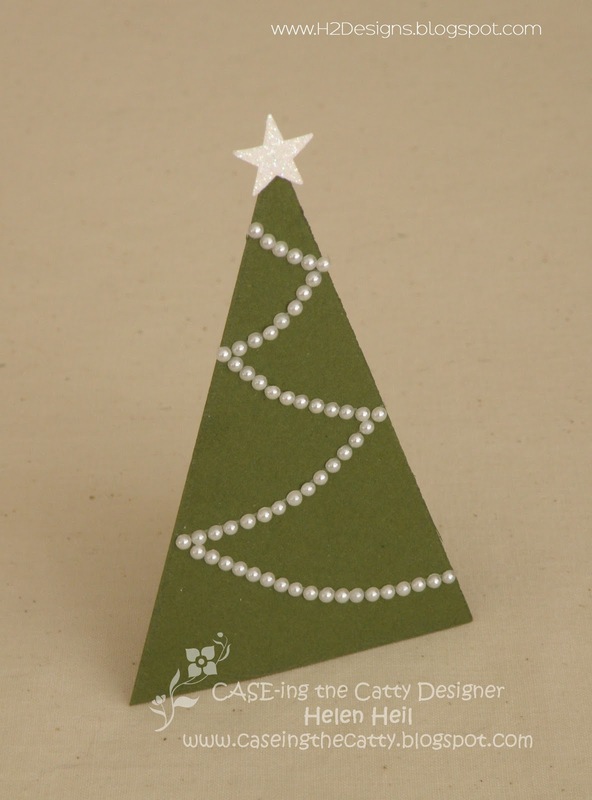 You will need a piece of cardstock approx. 6" wide x 5" high. On the 6" edge, mark at the centre point (3"), score & fold. 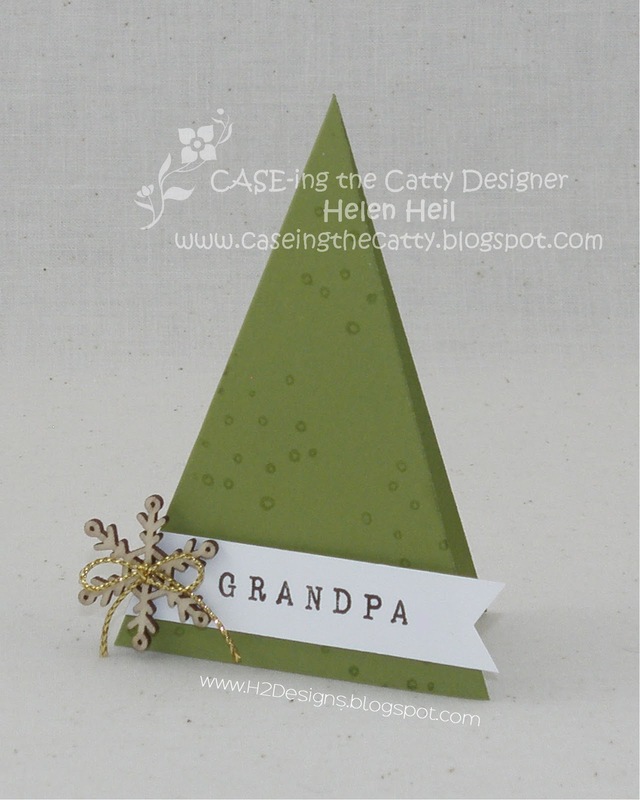 Place your cardstock with the folded edge aligned with the score line of the die (as shown above in top right image) & roll through your Big Shot. Always Artichoke cardstock embossed with the Chevron embossing folder, embellished with red enamel dots & a star button with gold metallic thread. 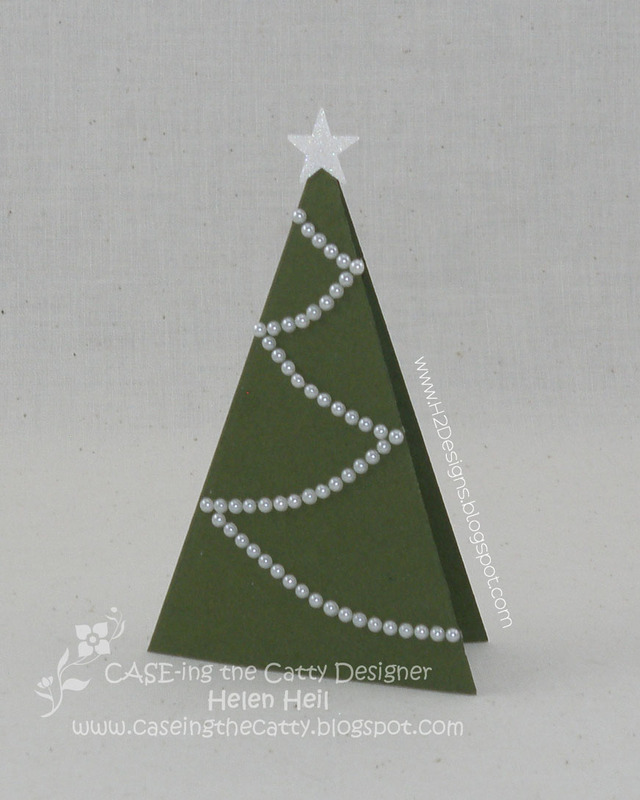 Mossy Meadow cardstock trimmed with pearl strands & a dazzling diamonds glimmer punched star. Old Olive cardstock stamped with snow images from the Happy Scenes stamp set, a wooden snowflake trimmed with gold cord & a banner stamped with the rotary stamp & flagged with the banner punch.